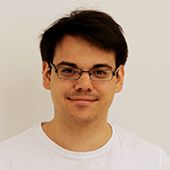 David was educated at the TU Berlin and has a scientific background in bioprocess development, modelling and optimization. As a PhD student he investigates the impact of the lignocellulosic raw material characteristics on simultaneous saccharification and co-fermentations (SSCF) for bioethanol production. With modelling techniques he develops a framework based on sub-models of the bioethanol process to reveal the impact of raw materials on cell and process conditions. The developed sub-process models are used for optimization and control of SSCF processes. Furthermore, different process configurations are tested to improve ethanol yields and the overall robustness of the process. There might be more projects where David Nickel participates, but you have to be logged in as a Chalmers employee to see them.